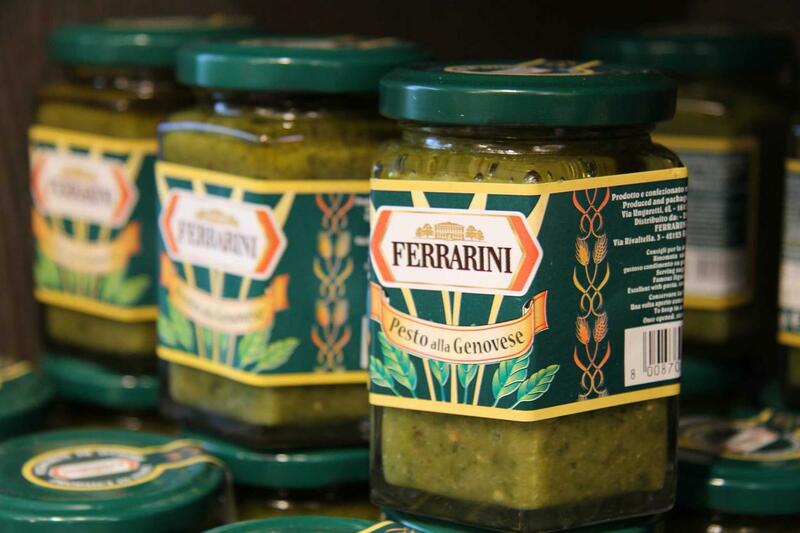 Ferrarini’s pantry is a selection of Italian specialities that will not fail to win over the finest palates for their extra special flavour. We hunt down the best local suppliers who understand the value of making things with the proper care and the importance of sticking to the time-tested recipes of bygone days, so we can be sure of satisfying our most sophisticated and demanding customers. Everyone at Ferrarini is proud to be able to offer our customers the best, traditional Italian food, especially customers in other countries. This is why we only put our brand on products sourced from the very best local suppliers so we can be confident of the quality of the products we offer. Pasta is the true symbol of a traditional Italian lifestyle. It is what inspired Ferrarini’s selection of products, all made with simple, flavour-packed ingredients, combining traditional methods with the creativity of our master pasta makers. Ferrarini invites you to savour a taste of our heritage with some of our authentic olive oil, the result of the bond linking man and nature. Ferrarini’s Extra Virgin Olive Oil is really special and its incomparable natural properties will not fail to surprise you: its deep, cloudy green colour has a gentle golden shimmer, and its fine and delicately fruity flavour makes it a classic choice, ideal for enhancing the flavour of any recipe. Our Pantry has a selection of Canestro specialities, including the best known Italian products such as pasta, pasta sauces and rice. We have reserved a place of honour in our selection for ingredients from our local area and those that are used most frequently in Italian households, like Cantuccio Toscano biscuits, Yellowfin Tuna and porcini mushrooms that were carefully hand-picked and dried before becoming one of our pantry products. Enjoy a taste of our Specialities in the comfort of your own home!